The development began earlier this year after a period of consultation lasting several weeks between Headmaster Simon Smith and Holroyd Howe, who took over the school’s catering provision on St David’s Day. 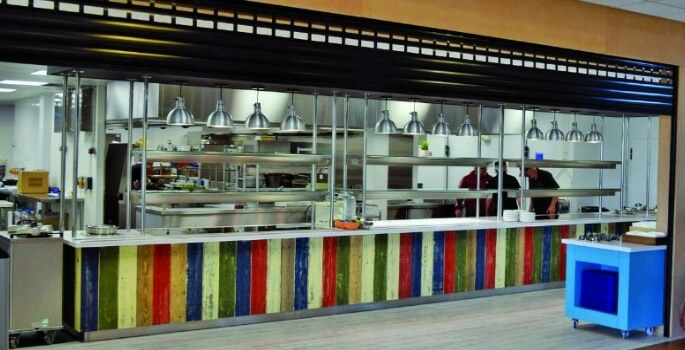 The work has seen a complete restructure of the serving areas and furniture at the facility, and the kitchen has also seen a major upgrade with the installation of state-of-the-art equipment as part of the investment, which will benefit both day and boarding pupils considerably in the coming years. This is the latest in a series of exciting developments around Rydal Penrhos as part of their ongoing desire to improve each area of both the Prep and Senior sites to enhance the experience of each pupil under their care. Construction teams are also renovating the Sixth Form Ferguson Centre during the summer holidays following a successful pupil-led fundraising initiative that was instigated by departing Year 13 pupils Morgan Roberts and Anna Richardson. What’s cooking in independent schools?